Not all churches are elaborate stone and marble structures like Westminster Abbey or Notre Dame. Some of the coolest churches are structures made of wood that might seem simple at first glance but are actually quite intricately built — some without using even a single nail. The wooden churches found in Europe and Eurasia represent cherished architectural styles from bygone eras, and they’re pretty eye-catching to boot. 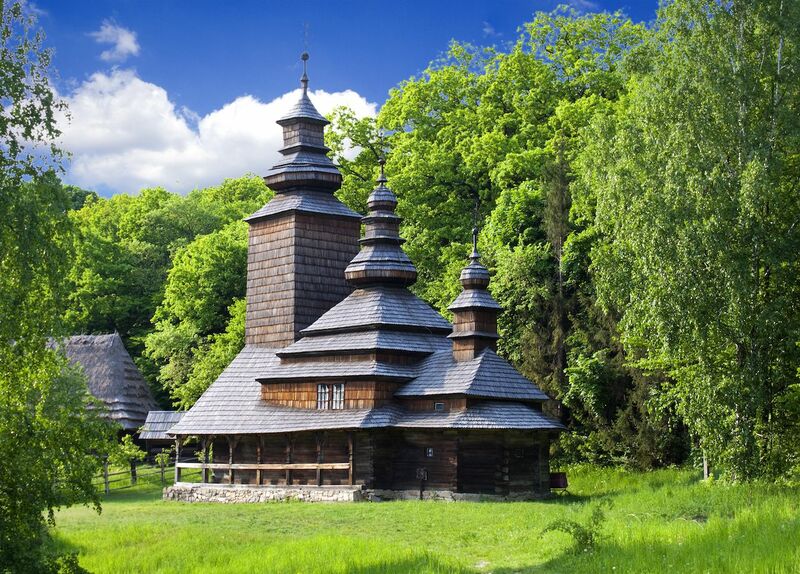 Here are nine of the most amazing wooden churches you need to check out. 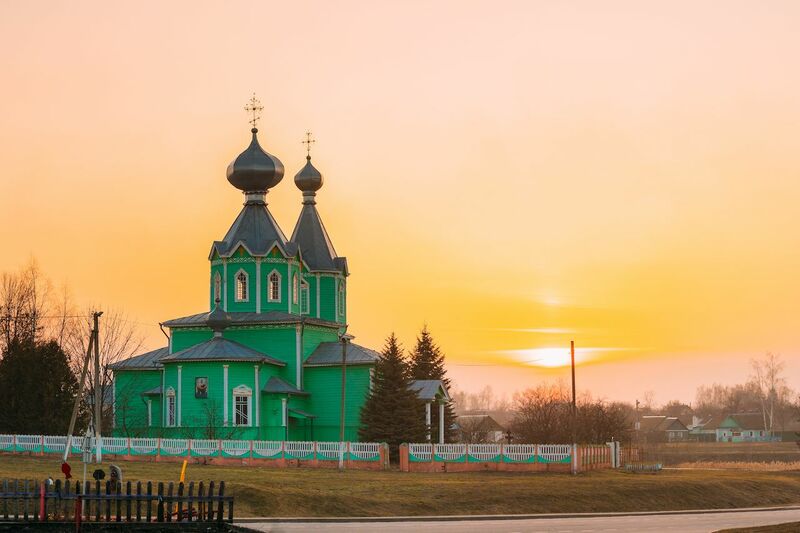 There are several wooden churches in the Gomel region of Belarus, among them this bright green Orthodox holy site near the town of Dobrush. Officially called the Church of the Holy Trinity, this colorful parish is in good company with the blue, pink, yellow, and red churches that decorate the region. A handful have been nominated for UNESCO designations, and while the Church of the Holy Trinity has yet to be officially recognized for its historic, architectural, and aesthetic value, it’s still one of the most fun churches you’ll see in Eastern Europe. 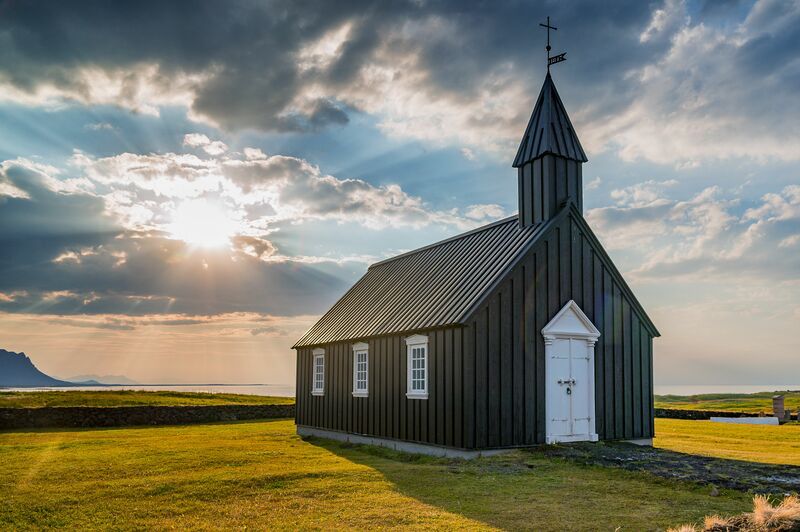 Yes, Búðir Church is made of wood, but the first thing you’ll notice about the Icelandic landmark is that it’s painted completely black save a white door and window frames. Located on the Snæfellsnes peninsula, the church is surrounded by an expanse of black lava rock, which seems fitting given its matching facade. What we see today is a recreation of the original chapel, completed in 1987, after the initial structure that was built in 1703 was torn down due to poor churchgoer turnout. These days, Búðir Church is more famous as a photography subject than a place of worship. The Church of the Transfiguration is an important part of the Kizhi Pogost historical site on Kizhi Island in northwest Russia. The whole pogost was inscribed by UNESCO in 1990 for its architectural significance, but many consider the wooden church the star attraction due to its master craftsmanship; it was created entirely out of interlocking wooden logs using no nails whatsoever. The church also has 22 grand cupolas — the largest and most central measures around 120 feet — and a gilded wall displaying more than 100 icons. This church in northeastern Slovakia dates back to 1705. Two additional chapels were built in 1932, and the whole site saw reconstruction efforts in 2002 to help restore and preserve both the wooden exterior and Baroque interior. Of particular note is the 18th-century iconostas found inside, a decorative wall featuring New Testament figures that separates the church’s nave from its sanctuary. Pirogovo is hardly a household name, but if the Ukrainian village just outside of capital city Kiev is to become famous for anything, it’ll be for its wooden churches. The most iconic wooden churches are found at the Pyrohiv Museum of Folk Architecture (Pyrohiv being the Ukrainian name for Pirogovo), which were built between the 17th and 20th centuries. Visitors will also find other cool architecture pieces on site, including cottages and windmills tracing as far back as the 16th century. Anyone who knows anything about Russian architecture knows about the Kremlin in the Red Square, but far fewer people know about this miniature Kremlin in Moscow. This might have something to do with the fact that it was only completed in 2007 or that it was never meant to be an actual defense fortress but rather a cultural center. Among museums and a craft market, visitors will find the tallest wooden church in Russia here, the Church of St. Nicholas, which looms roughly 150 feet over Izmailovo. 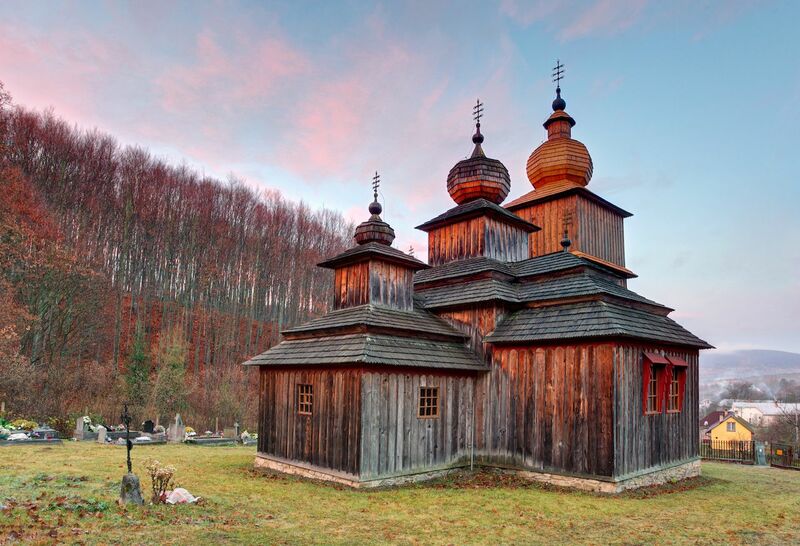 Eight wooden churches dot the landscape of Maramureș. No two are exactly alike, and together they comprise a UNESCO site that exemplifies a mix of Orthodox and Gothic religious and architectural elements. 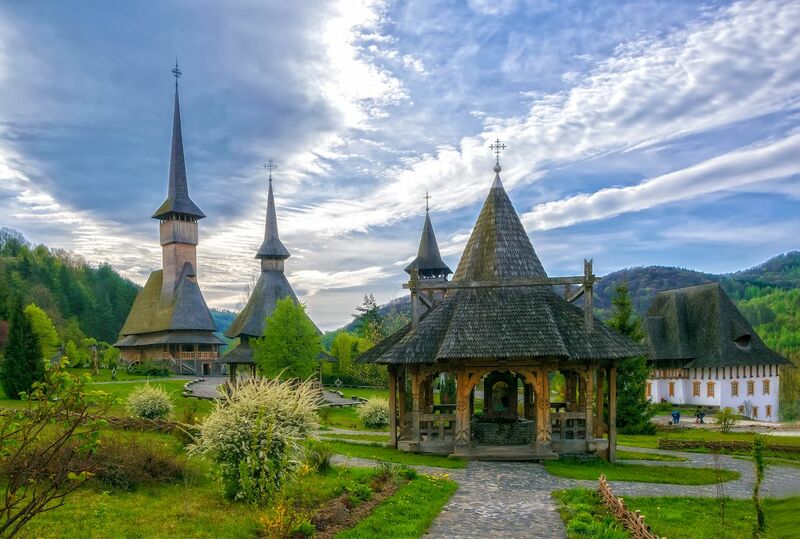 All eight churches are made of timber, and each displays a shingled roof and a tall, thin clock tower — both traditional features of northern Romanian architecture. If you decide to visit Maramureș to see these churches for yourself, be sure to schedule a detour to the nearby Săpânța Cemetery, also known as the Merry Cemetery because of its colorful grave sites and memorials featuring paintings of the deceased. 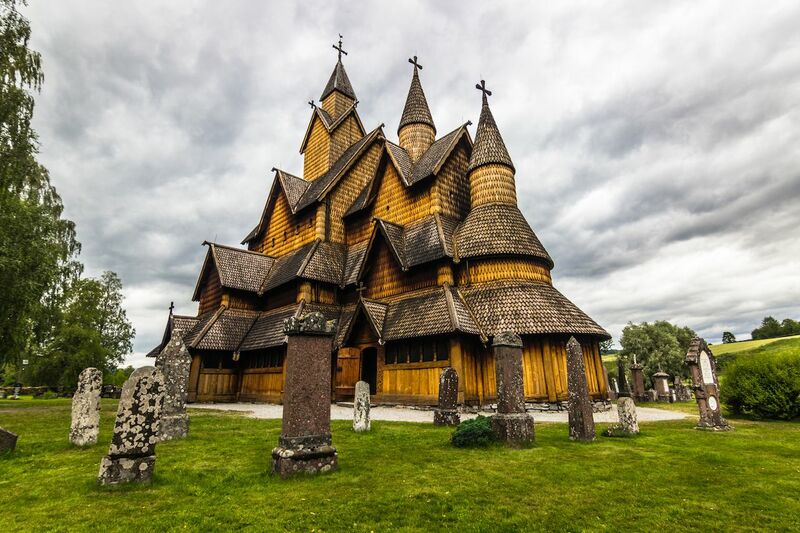 It’s estimated that at least 1,000 stave churches were built in Norway during the 12th and 13th centuries. Today, only 30 or so remain; Heddal is the largest among them. Legend has it that the church was built in just three days although new decor and details, including a series of rose paintings, were still being added as late as the 16th century. 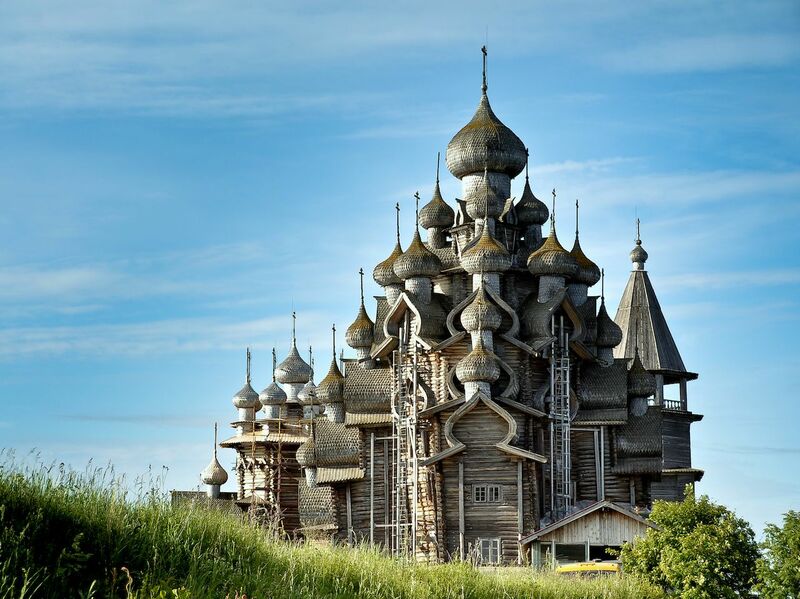 This church, like the Church of Transfiguration on Kizhi Island in Russia, was built without any nails or glue. It’s still operational to this day and regularly hosts events like weddings, particularly during the summer. Visitors are welcome during the week but not on Saturdays or Sundays. 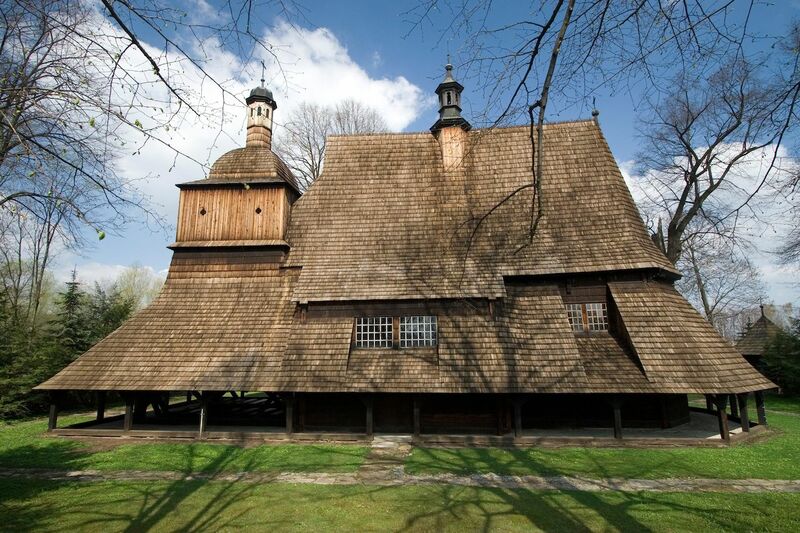 Not one but six wooden churches were built in little villages across southern Poland during the Middle Ages. Their architectural value lies in the way timber logs were positioned horizontally to secure the structures, a medieval technique used in many Roman Catholic churches around Northern and Eastern Europe. Inside, Gothic decor and painted walls and ceilings add another layer of significance to these simple yet impressive (and remarkably well-preserved) UNESCO sites.